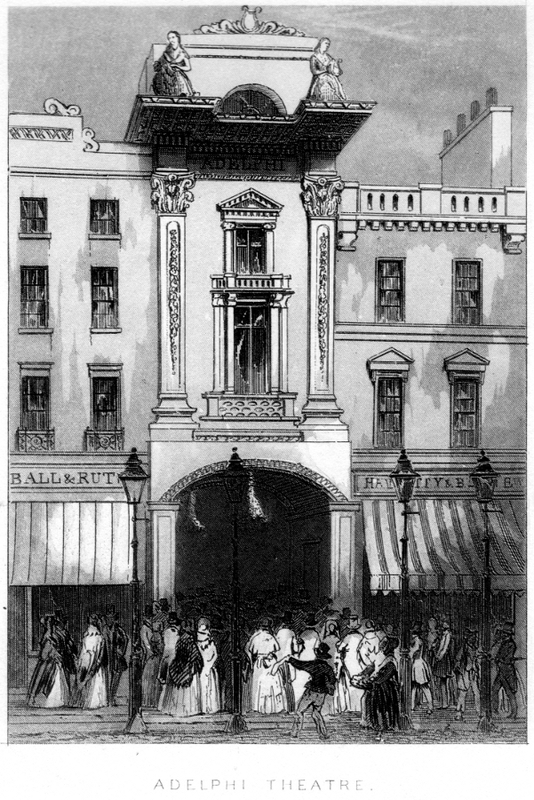 A picture of Samuel Beazley’s façade. The artist seems to have had trouble with the segmented balcony. The long central window seems to have lost some of its elaboration. Striped awnings cover the front of the famous Hampshire Hog Tavern.